Whilst living well was clearly a primary concern for people in the past, dying well was equally, perhaps even more, important. A whole literature existed – the Ars Moriendi, or Art of Dying, printed in the 15th century, which sought to instruct people in how best to conduct themselves in their last mortal moments on earth. This was an age of extremely high death rates. Death was highly visible. 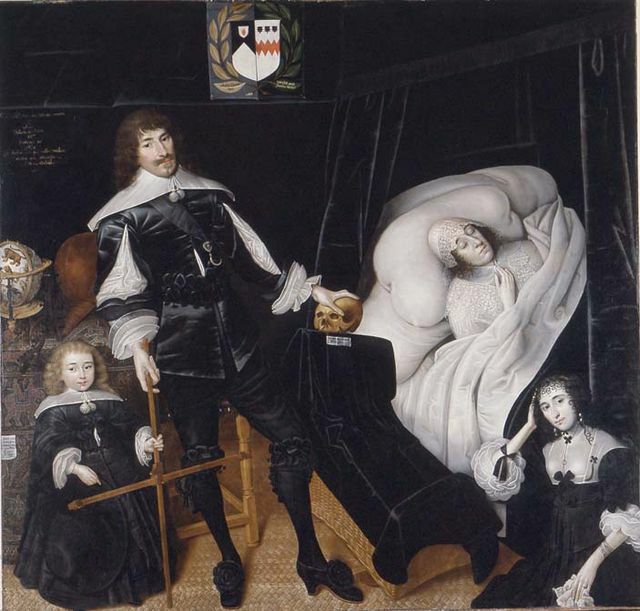 Unlike today where death is sanitised and usually takes place outside the home, in the early modern period sickness and death were domestic events. It would even have been common for children to have seen a corpse, and spent some time around it. 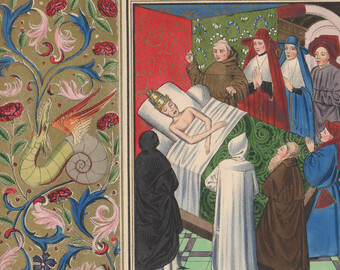 The so-called ‘good death’ has a long history. Before the Reformation, the way a person behaved in their final moments was of signal importance since it could influence their final destination. But what constituted a good death? Ideally the sick person should firstly have prepared their soul well before. They should already have lived as a good Christian but, when sickness was upon them, they should act to ensure their affairs were in order. The dying person should be surrounded by their family and friends who would monitor their behaviour, and take comfort at signs of piety. For example, the dying person should be humble and contrite, and show readiness to meet their God. If possible they should, out loud, confess and repent of their sins and forgive any sins against them. Finally, they might take time to speak to each of their family, expressing love and hoping to meet them on the other side. Such a death would reassure family members that their loved one was bound straight to Heaven, and that they should not worry about their soul. After the Reformation things changed markedly in terms of attitudes towards final conduct. No longer was it firmly believed that behaviour could influence whether a person went to Heaven or Hell. But this is not to say that the ‘good death’ was not still extremely important. Protestant belief in predestination, in other words that people were already marked out before birth for either the Pearly gates or the River Styx, meant that people were ever watchful for signs that they, or their families, might be one of God’s elect. A good death might be just the sort of proof they sought. 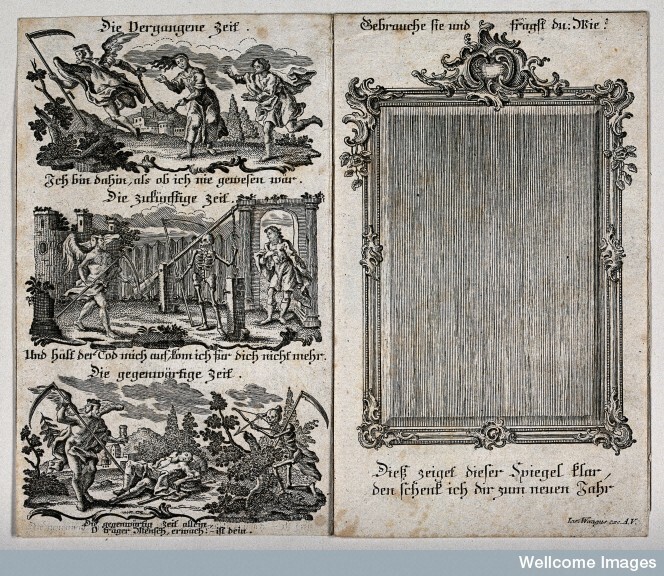 Even in the seventeenth, and into the eighteenth, centuries people still monitored the behaviour of the dying and looked for possible messages. In 1668, John Gwin wrote in his notebook that “My wife’s mother died 25th May, the last words she spake O Dduw Kymer Vi [Oh God, come for me/take me] for w(hi)ch words and others we received coserninge her we yield all praise to God etc” For Gwin, the old lady’s final message was Godly and pious, displaying a readiness to submit to judgement. His note about reports from others about her conduct is also telling. But the other side of the coin was the bad death. Whilst many people would surely have preferred their final moments to be peaceful and orderly, life was seldom that straightforward. Some people died suddenly, robbing them and their relatives of the chance to prepare. Victims of murder were denied a good death, prompting some speculation that ghosts were the souls of those troubled by not having had chance to prepare themselves. Some people simply died alone. For others, bouts of sickness took away the power of speech. Such an occurrence was especially troublesome to families since their loved one was physically with them but unable to communicate their feelings. But there is another, often overlooked, group of people who simply wanted to be left alone to die in their own way. Imagine the scene. You are in the last hours of your life, perhaps gasping for breath, in pain and misery. Your family surround you, all constantly watching you, hanging on your every word and, perhaps, prompting you to hold forth with a stream of pious utterances. Some could clearly bear it no longer. Others had long since abandoned any pretence at caring. 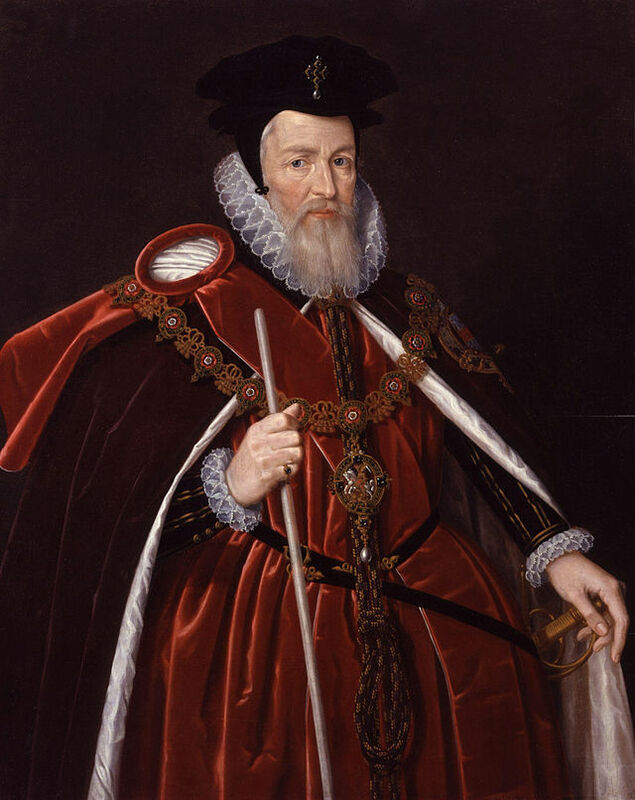 In 1598 died Lord Burghley after a long sickness, and surrounded by children, family and friends who had spent several hours praying, crying by his bedside and trying in vain to save him. Burghley’s last words? “Oh ye torment me…For Godes sake let me dye quietlye’! Perhaps a similar bout of lectures, lessons and spiritual moralising prompted Elizabeth Angier, the wife of a Puritan minister to ask her doubtless devoted and panicked husband ‘Love, why will you not let mee goe?’.